We had our 20 week scan yesterday, also called the Anomoly Scan. The basic idea is that they check the baby is developing well and that there are no obvious signs of trouble. There are some illnesses, like Spina Bifida, that can be detected at this time. 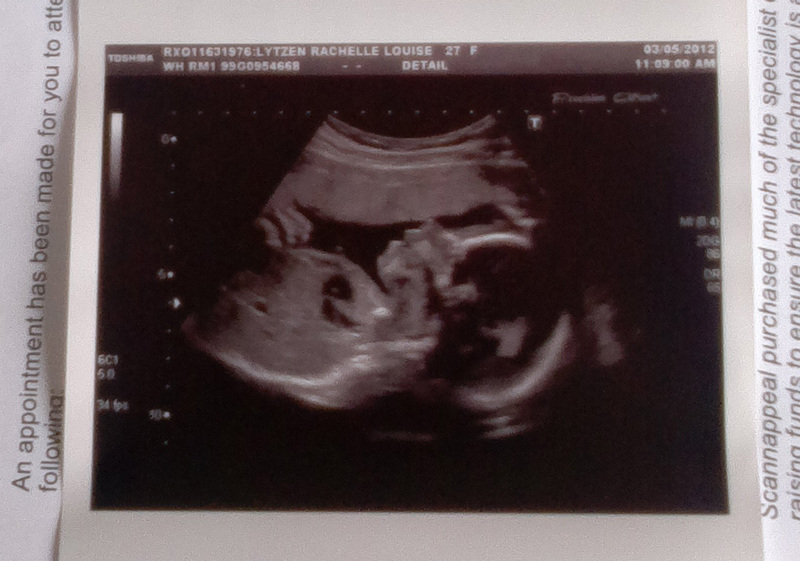 Thankfully there was nothing sinister that showed up on our scan but our little monster was being a bit awkward and there was one test the sonographer couldn't complete so we're heading back in three weeks' time. 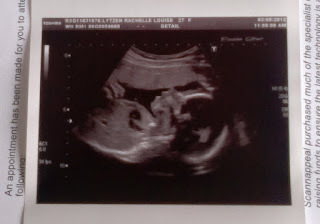 Considering how active the baby has been (I'm getting kicks all over the place), it was remarkably still for the scan. We got a good image and are pleased that the baby appears to be well.